We are very pleased to announce that the game is available for pre-order on all as of today! You can secure your copy of the game, as well as the Radical Vanity Pack pre-order reward right NOW. 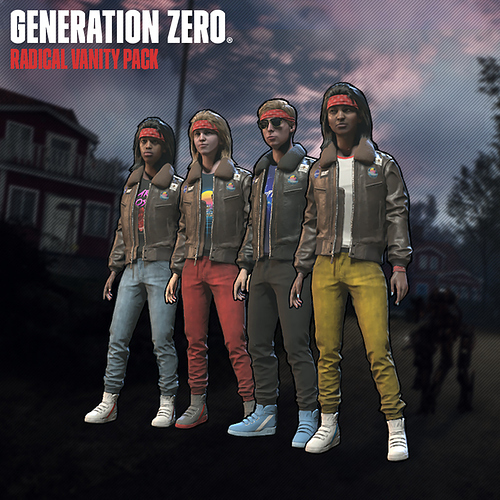 As a special incentive for those who pre-order ahead of the game’s release you will get your hands on this special character customization pack including 12 additional appearance customization options such as: T-shirts, bandanas, an iconic bomber jacket and more – all helping you to tailor your own unique ‘80s look. For the real Generation Zero enthusiasts there is also a Collector’s Edition, including a Steam version of the game, purchasable at selected retailers in Europe and the USA. 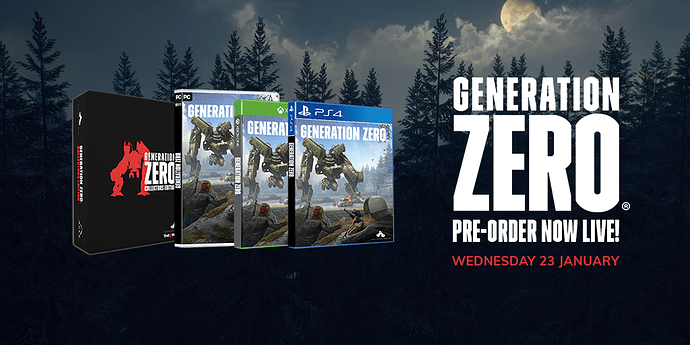 This exclusive edition contains a premium steelbook game case, a cloth map of the game world, a t-shirt, a unique Generation Zero take on the traditional Swedish dala horse statue and more. i went to see the pre order page but it said the full game is out in December 3. On this, it says March 26. Why is that? Where are you seeing that it says December 3? Retailers should have updated their release dates to March 26th if they had anything such as December 31st as the release date. Will the radical vanity pack be included for those who preorder the collectors edition? Another question for you Graham. Will i who pre-ordered collectors edition have it on launch day or have to wait a few more days for the postal service to deliver? I already pre-ordered it (for Steam) via your Xsolla platform back in February, will I also be eligible for the Radical Vanity Pack reward? Yes, it’s a preorder bonus. Will the game be available on GeForce now? So us Mac users can play it ?